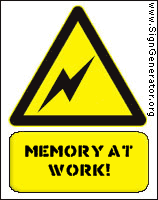 SCC ENGLISH: Danger: Memory at Work! Hal’s Pressie : I run down the stairs to find the room filled with objects of all shapes and sizes. I feel wonderstruck at what these objects are wrapped in, some form of coloured paper. I look up to my Dad to ask him what’s going on and he smiles and tells me to open the stuff and I’ll see. I do as I am told. The first thing I open is huge and oddly shaped like a mutated rectangle. I tear the whole top right area of the object to see a seat attached to the rest of the thing by a metal pipe. My first bike. July in Dubai by Dearbhala : Stella says my Mummy and Daddy have gone out. Aoife puts on a movie for us but Joseph says that we should make cards for them. I run upstairs and get my scrapping kit. Stella sets up the table as I lay the paper down. Aoife makes a pretty blue card; I make one with a princess on the front, she is dressed like my Mum. I peer over to see what Joe is making; it looks like ‘Merry Christmas’ and ‘Wrap up Tight’. I’m extremely confused and ask Stella why Joe is making Christmas cards in July and advising to wrap up tight in Dubai? She laughs, and explains that he’s just a little confused. Tara’s Salon : I get out of bed and wake my brother; it is very early in the morning. We sneak into the bathroom as we had planned and reach up to the high shelf for the scissors. We snip away happily, not bothering to use a mirror. I cut one side of my hair off; my brother cuts straight through the middle of his. We hear footsteps, Mum is coming! My heart is pounding as I realise what I have just done. A feeling of guilt dashes through my body. My Mum comes in and her jaw drops.